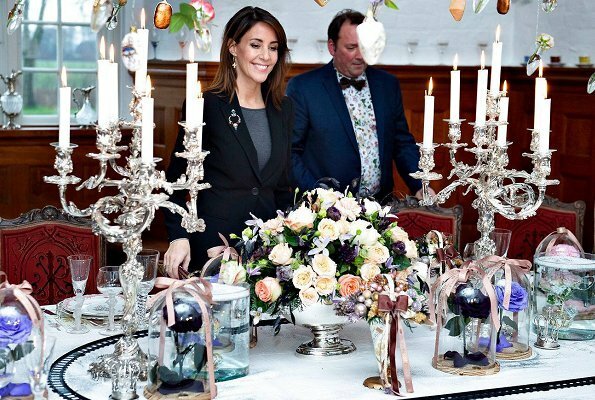 On December 06, Danish Princess Marie attended Christmas celebrations at Voergaard Castle in Vendsyssel, Northern Jutland. The Christmas events were created in cooperation with the architects Greg Kobett and Stig Lauritsen who run Paradehuset at Gisselfeld Kloster, and who appeared in a Danish TV gardening series (“Have haves”). She is so pretty here and looks so nice!! 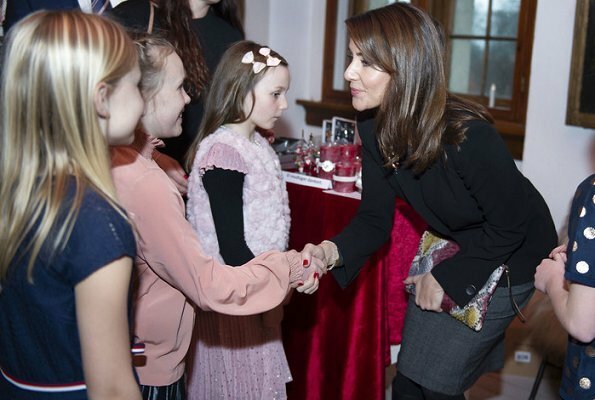 The princess looks very proper and demure, but the little girls are so sweetly prepared and dressed to see a 'real princess.' I wish she had worn something specially pretty and a little fancy to give a bit of magic to the occasion. Agree. Marie is always a pleasing sight, but why all this black and grey at a Christmas event where children are involved? I agree. Marie is so beautiful and charismatic …… but why, why always dressed in black and grey ???? She looks very nice for this Christmas event. 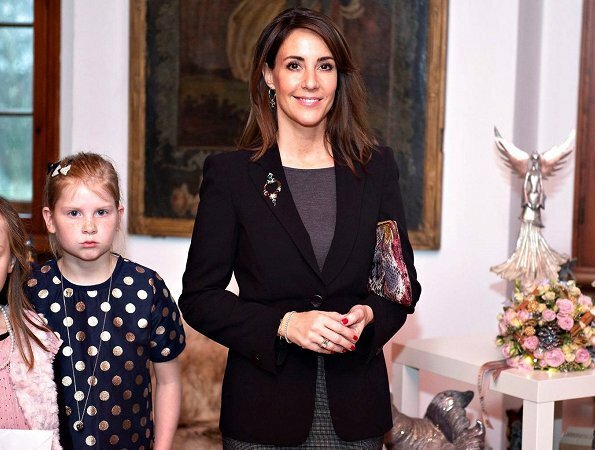 Princess Marie shows once more her elegance and good taste: that nice brooch and the multicolored purse are perfect for the occasion. Those lovely girls dressed to the nines are the protagonists of the event, as they should be. By the way, I like very much the Eiffel towers hanging from the tree, an affectionate nod to Princess Marie's native country. Beautiful decor, great time for the little ones to visit a castle.